More people than ever before are having to tighten their belts and find ways to save on their expenses so they can lower their cost of living. Since this is completely foreign to many people, when I found out that Rene @BudgetSavingMom was launching her new frugal living guide today, I asked her to let me share it with my readers. I recommend reading her book as a way to see that there are very different ways of looking at life. Many may find what her book describes as “normal” for her family is very different from what “normal” may be for yours. Priced at a very reasonable $4.99, Rene has generously offered to give you a 10% discount. Just enter discount code GrowMap10 when you order. Although they try to live very frugally, she also feels that her family’s health is very important, and they try to eat healthy foods. She also makes many of her own toiletry items, such as soaps and lotions, and homemade household cleaners. I ask you to go even further and question every expense you have that exists because of conditioning. Most Americans believe that “modern” medicine, insurance, and health care are essentials while I personally do not. Each individual must make those types of decisions for themselves. As I mentioned in my post about Food Rights, the healthiest people and animals I have known in my over fifty years are those that choose to eat natural, healthy foods and avoid treatments that relieve symptoms short term but result in long-term poorer health. If you have children, be sure to see her tip on page 28 about how she buys new kid’s clothes for less than GoodWill prices. Anyone who uses a cell phone should pay special attention to tip #17 on page 59 in the saving on cell phone costs section. Disclosure: The links to Rene’s book are affiliate links, but that is NOT why I am recommending her ebook. I have personally read the entire ebook cover to cover and found tips I did not know about that I consider valuable. Other bloggers interested in offering Rene’s book can join her eJunkie affiliate program. Eating healthy is, of course, paramount to staying healthy, but it is also important to make sure that your body is able to properly absorb the nutrients that you are getting from that healthy diet. I have read rene’s book and i must say it is one of the best book i had read recently. It gives you a lot of practical tips-things you never even thought of! Recommended read. Thanks for referring this book! It’s very useful especially for big families. 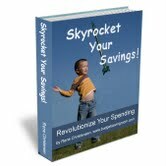 This is a perfect E-book for those parents that is really practical , we all know that we are now experiencing Global Crisis maybe this is the best solution to follow for our future. thanks for sharing this great information and e-book. Just had a thought that using http://www.sellmilestoday.com for selling miles and points can be another great way of making the most out of your assets. I started following you back when I started “couponing” – you always have great tips! Once I started being frugal with my grocery shopping, it just branched out into other areas of my life. Thanks for your great tips! I’ve been shopping with coupons in the groceries for almost two years now and am still a beginner at this. However, I’ve saved up to $12 in one trip with my coupons for food items I really use. The Frugal Living Ebook is a must read for those of us on a budget. Thanks for the helpful post. I think it is always best to live frugally because life is unpredictable and the savings can help us in adversity. I’d say I live pretty frugally. I don’t buy anything unnecessary, all my money goes on food and bills and whatever’s left over just gets carried over to next month’s allowance. Yay! A discount coupon for a really good book! Thank you so much. There are so many unnecessary things that we spend on that can be saved up instead. Even little things that we don’t think matters can add up to a huge pile of expenses if we keep track of it, money that we can better spend on something much more important. I have already watched some of her videos. Of course, everything that Rene offers is quite interesting and healthy, but I can’t say that I’d like to use some of her advice to save my money. But certainly people whose main aim is to save money for something will be glad to use them. Thanks very much for posting this, I’ve already bought it and consider it to be a good resource for people wanting to save a buck. It is sad that we now really have to cut our expenses a lot and we can’t really enjoy life the way we want to, but this is reality and we can only cope with it. Still, a great read, I recommend. Thanks for recommending this. It looks like there are some great tips here- I’m always looking for budget saving tips that still allow me to eat healthy, organic food. I have gone through the ebook and found it very helpful. All the tips in the book are great and helpful. Living frugally has always been my goal and I thank you for reinforcing my efforts. My mother has always emphasized on saving money and living within frugally. I think it is always best to live frugally because life is unpredictable and the savings can help us in adversity. Thanks for the helpful post. This is really a good one for those who are trying to save a lot and not just make some expenses to something not necessary. Looks like she’s really an expert in budgeting. If only all people can find ways and are willing to train themselves in creating a product, for sure they can save more money which they can make use of in buying more important things. Thanks so much for posting this, Gail!! I am so glad that you enjoyed it! !